World J Hepatol. 2010 November 27; 2(11): 410-415. Published online 2010 November 27. doi: 10.4254/wjh.v2.i11.410. We have seen a significant increase in the popularity and usage of over the counter herbal supplements over the past few years. Unfortunately, the majority of these herbal supplements are not regulated by drug administrations worldwide. Many herbal supplements contain compounds that carry potentially severe side effects including hepatotoxicity. We report three cases of acute liver injury induced by weight-loss herbal supplements. Hydroxycut (MuscleTech, Mississauga, Ontario, Canada) (case 1) and Herbalife (Herbalife, Los Angeles, USA) (cases 2 and 3) supplements were the suspected culprits of acute liver injury. Hydroxycut is a popular dietary supplement consisting of a variety of herbal mixtures that claims to enhance the weight loss process. Acute liver injury associated with Hydroxycut use has been previously reported, but only one case had liver biopsy data showing cholestasis and portal inflammation[3-6]. Similarly, Herbalife weight-loss dietary products are popular supplements consisting of a variety of herbal mixtures that claim to facilitate weight reduction. Cases of acute liver injury after consumption of Herbalife products have been previously reported, with two patients developing fulminant liver failure requiring liver transplantation. The first patient survived while the second died[8-11]. In all of our cases, we were able to demonstrate drug-induced acute liver injury on liver biopsy specimens. A 31-year-old woman presented to our hospital complaining of 2-wk history of fatigue, jaundice, and nausea. She denied any prior medical or surgical conditions, family history of liver disease, and acetaminophen or prescription medication use. She further denied history of blood transfusion, tattoo, alcohol use, or recreational drug use. She had been taking Hydroxycut for one year to enhance her weight loss. She had been taking the recommended dose of 2 tablets twice a day. The patient was afebrile with normal hemodynamics upon presentation. Her physical examination was remarkable for generalized jaundice, scleral icterus, and mild upper quadrant tenderness to palpation without rebound or guarding. Initial laboratory studies were significant for serum aspartate aminotransferase (AST) level of 1407 U/L (normal range 15-41), serum alanine aminotransferase (ALT) level of 1278 U/L (normal range 7-35), serum alkaline phosphatase of 256 U/L (normal range 38-126), serum total bilirubin (TB) of 7.1 mg/dL (normal range 0.2-1.2), and international normalized ratio (INR) of 1.3 I/U (normal range 0.8-1.2). Given these findings, patient was admitted to the hospital for a higher level of care. 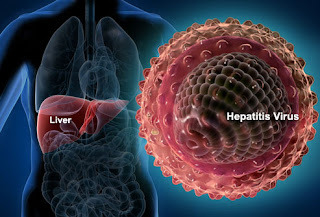 Standard blood tests were negative for hepatitis A, B, C, E, Ebstein Barr virus (EBV), cytomegalovirus (CMV), human immunodeficiency virus (HIV), antinuclear antibody, anti-smooth muscle antibody, anti-liver/kidney microsomal antibody, alpha-1-antitrypsin deficiency, and anti-mitochondrial antibody. Serum acetaminophen and urine toxicity screens were negative. Serum ceruloplasmin, ferritin, iron studies, and immunoglobulins were all within the normal range. Right upper quadrant ultrasound showed diffuse echogenicity of the liver. Liver biopsy was performed and showed multi-lobular necrosis consistent with acute toxic necrosis and fulminant hepatitis (Figure 1). Liver biopsy showed extensive patchy areas of multilobular necrosis with only bile ducts remaining, extensive ductal metaplasia, severe lymphocytic and macrophages infiltration of portal tracts and lobular parenchyma and patchy plasma cell infiltrates. Histological changes were consistent with acute troxis necrosis and fulminant hepatitis. A: Liver lobules showing massive necrosis with only bile ducts remaining (hematoxiline and eosin stain × 52); B: Lymphocytic infiltration of portal tract and lobular parenchyma (hematoxiline and eosin stain × 130); C: Liver lobular necrosis with macrophages cleaning the debris (CD68 stain × 130); D: Ductal metaplasia. Lymphocytic infiltration in the sinusoids (CAM5.2 stain × 260); E: High power, lymphocytes destroying hepatocytes (CAM5.2 stain × 520); F: Lymphocyte “eating” hepatocytes in a liver parenchyma (troxis necrosis), arrow showing immunological synapses (Electron microscopy × 15000). The patient’s liver function tests peaked 4 d after admission with serum AST level of 1613 U/L, ALT level of 1227 U/L, serum alkaline phosphatase of 268 U/L, serum TB of 10.5 mg/dL, and INR staying at 1.3 I/U. She did not develop evidence of hypoglycemia or portal-systemic encephalopathy. Her jaundice and scleral icterus resolved over the following 2-wk. Her liver tests gradually improved within the following few months. A 37-year-old woman presented to our hospital with a 1-mo history of diffuse abdominal pain, mild nausea, and painless jaundice. She denied any past medical or surgical history, family history of liver disease, or any alcohol or illicit substance abuse. She admitted that she had been taking Herbalife dietary supplements for the past 3-mo in an attempt to lose weight. Her Herbalife regimen consisted of the Formula One Nutritional Shake Mix, the Multivitamin Complex, the Cell Activator, the Cell-U-Loss, the Herbal Concentrate Original, and the Total Control formula. The patient was afebrile with normal vital signs on presentation. Her physical exam was noticeable for bilateral scleral icterus and generalized jaundice. Her abdominal exam revealed a non-tender, non-distended abdomen with no stigmata of liver disease. Initial laboratory studies were significant for an AST level of 2199 U/L, serum ALT level of 2068 U/L, serum alkaline phosphatase of 185 U/L, and TB of 15.3 mg/dL. All other laboratory values, including amylase, lipase, and INR, were within normal limits. Given these lab abnormalities, the patient was admitted to the hospital for further work-up. 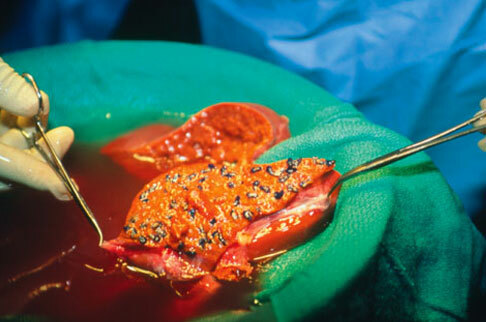 Liver biopsy was performed and showed periportal bridging fibrosis, ductal metaplasia, cholestasis, moderate intralobular lymphocytic infiltration, and troxis necrosis and apoptosis consistent with drug-induced hepatitis on top chronic liver disease. A: Liver showing periportal fibrosis and cholestasis (periodic acid-Schiff stain × 130); B: Portal tract showing ductal metaplasia and periportal fibrosis (AE1/AE3 stain × 260); C: Portal - portal bridging fibrosis (CAM5.2 stain × 52); D: Portal - portal bridging fibrosis (Reticulin stain × 52). The patient was treated supportively with fluids and nutrition. Her liver tests steadily declined from the day of admission and on hospital day 8 (day of discharge) her liver tests revealed a AST level of 1788 U/L, ALT level of 1501 U/L, and serum alkaline phosphatase of 183 U/L. The only laboratory value to increase was the patient's serum TB, which was at 29.9 mg/dL on discharge. The patient did not develop encephalopathy, hypoglycemia, or any other complications. The patient was followed for several months, throughout which her symptoms continued to improve. At her 2-mo follow-up, the patient's icterus and jaundice had resolved completely. Her labs at this time showed a serum AST level of 51 U/L, serum ALT level of 43 U/L, serum alkaline phosphatase of 65 U/L, and serum TB of 1.1 mg/dL. A 53-year-old previously healthy woman presented with a 3-wk history of painless jaundice and pruritus. She denied any family history of liver disease, or any alcohol or illicit substance abuse. She had not been taking any new prescribed medications. On further questioning about over-the-counter supplements she divulged a 4-mo history of consuming various Herbalife weight loss products in the form of shakes, teas and pills. On physical exam the patient’s vital signs were within normal limits. On general inspection she had scleral icterus and jaundice, with evidence of excoriations. A 2-cm palpable liver edge could be appreciated, that was tender to touch. 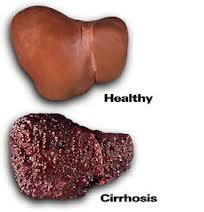 There were no other signs of chronic liver disease. Initial laboratory values revealed a hepatocellular pattern of injury, with an AST of 1282 U/L, ALT of 983 U/L, and alkaline phosphatase of 292 U/L, with a TB of 18.2 mg/dL. An ultrasound showed borderline hepatomegaly of 17-cm. 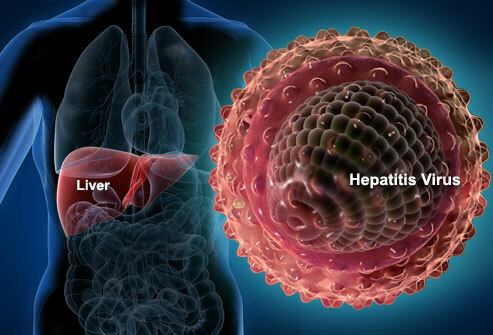 Standard blood tests for hepatitis A, B, C, E, EBV, CMV, HIV, antinuclear antibody, anti-smooth muscle antibody, anti-liver/kidney microsomal antibody, alpha-1-antitrypsin deficiency, and anti-mitochondrial antibody were negative. Serum acetaminophen and urine toxicity screens were negative. Serum ceruloplasmin, ferritin, iron studies, and immunoglobulins were all within normal range. Liver biopsy was performed and showed cholestasis, consistent with drug induced hepatitis (Figure 3). 2-mo after complete abstinence from the Herbalife supplements her jaundice resolved, as did her liver tests. A liver biopsy revealed acute hepatitis characterized by hepatocellular injury, with periportal fibrosis, cholestasis, ductal metaplasia and diffuse intralobular and periportal troxis necrosis consistent with a drug-induced etiology. Intralobular lymphocytic infiltration. Arrow showing apoptosis of hepatocytes (hematoxiline and eosin stain × 260). Acute liver injury induced by over the counter weight-loss herbal supplement Hydroxycut and Herbalife products have been reported previously[3-6,8-11]. These case reports were limited by the fact that liver biopsies were performed in only a few patients, confirming clinical suspicions histologically. In terms of our patients, all three had liver biopsy performed and all showed some common morphological features including diffuse lymphocytic infiltration of sinusoids and portal tracts, ductal metaplasia and toxic necrosis. Some variations of morphological features could be explained by predominance of intrinsic or idiosyncratic mechanisms of hepatic injury, individual patient response to the affecting drug and duration of injury. The patients’ liver biopsy specimens were stained with periodic acid-Schiff (PAS) stain with diastase. No hyaline globules were identified in any of the three cases. The absence of histological findings and the fact that our patients had no history of chronic obstructive pulmonary disease excluded diagnosis of alpha-1-antitripsin deficiency in all three cases. Prussian blue and copper stains did not reveal excessive iron or copper depositions in the hepatocytes and Kupffer cells. Only one previous case of Hydroxycut-induced acute liver injury had reported findings on liver biopsy. Although the most likely explanation for the mechanism of liver injury caused by these herbal products is idiosyncratic reaction, one of the ingredients in Hydroxycut, green tea extract (Camellia sinensis), has been linked with acute liver injury in other over the counter weight-loss herbal supplements[12-20]. In fact, the weight-loss herbal supplement Exolise (Arkophama, Carros, France), which also contained C. sinensis, was withdrawn from the market because it was linked to multiple cases of liver injury. Furthermore, several cases of hepatotoxicity were associated with another herbal weight-loss supplement, Cuur (Scandinavian Clinical Nutrition, Sweden), which also contains the ethanolic dry extract of green tea (C. sinensis). Rechallenging patients with the same product led to hepatotoxicity, confirming the role of C. sinensis[12,16]. In all reported cases of acute liver injury induced by Hydroxycut, patients’ liver function tests recovered over time following cessation of the product. However, there have been cases of liver failure caused by green tea extract C. sinensis, requiring orthotopic liver transplantation[13,16]. The liver biopsy obtained in our patient who took Hydroxycut showed multi-lobular necrosis consistent with acute toxic necrosis and fulminant hepatitis. These findings are similar to the findings in patients with liver injury associated with green tea extract C. sinensis, where prominent necrosis with inflammatory reaction is the hallmark presentation[15,16]. The exact mechanism of hepatotoxicity induced by Hydroxycut is unknown. However, as this product contains green tea extract C. sinensis, it is possible that this may play a role in acute liver injury caused by Hydroxycut. Prior investigation into the mechanism of hepatotoxicity by green tea extract was inconclusive. Others have hypothesized that a possible allergic reaction to the green tea extract, contamination during the production of the extract or a metabolic idiosyncrasy are possible mechanisms of liver injury in these patients. Both of our patients took several Herbalife weight-loss herbal products concurrently, similar to most of the previously reported cases of hepatotoxicity due to Herbalife products[8-11]. Therefore, it is difficult to identify the exact ingredient or mechanism that causes the liver injury, as in the previously documented cases[8-11]. In a previously reported case, one investigator was able to isolate contamination with Bacillus subtilis, in which the bacterial supernatant caused dose-dependent increase of LDH leakage in HepG2 cells. Although not commonly known as a human pathogen, B. subtiliis has been reported to cause food poisonings and a case of cholangitis in an immunocompromised patient[22-23]. Investigators have also suggested that another explanation for hepatotoxicity due to Herbalife products could be secondary to locally restricted contamination with chemicals such as softeners, preservatives, flavor enhancers, pesticides, or heavy metals either intentionally added during the production process or contained in the unrefined raw herb extracts. To date, Herbalife has refused to provide detailed analyses of their products’ composition and ingredients. 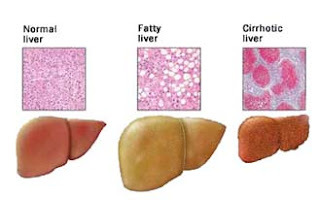 This contamination hypothesis could also explain the different patterns of pathology seen on liver biopsy specimens previously observed in patients with hepatotoxicity from Herbalife products as both predominantly cholestatic injury pattern and acute hepatitis pattern have been reported[8-11]. Our patients had findings consistent with acute hepatitis due to drug-induced liver injury on their liver biopsy specimens. 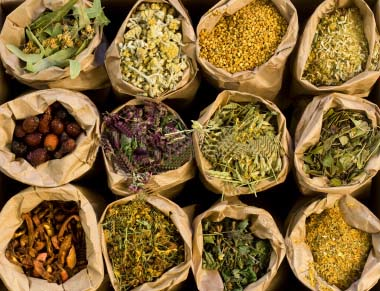 Due to the obesity epidemic, the usage of weight-loss herbal supplements has flourished. Green tea extract is one of the key components in many of the over-the-counter weight-loss herbal supplements. Although significant liver injury induced by herbal supplements taken for weight loss purposes is a rare event, we cannot ignore the fact that there have been multiple reported cases in the medical literature of hepatotoxicity associated with weight-loss herbal supplements including Hydroxycut and Herbalife products. Even though our patients successfully recovered from the adverse reactions, we must bear in mind that the hospitalization and medical care of these patients were associated with significant cost and healthcare resource utilization, while there is no evidence that herbal supplements can help with weight-loss. We must also consider the impact on patients with underlying chronic liver disease, in whom herbal weight loss medications could cause worsening in their synthetic function and even fulminant failure. In May of 2009, the US Food and Drug Administration warned consumers to immediately stop using Hydroxycut products, citing linkage to liver damage in one patient who died due to liver failure. However, Hydroxycut products are currently still available in many parts of the world. Likewise, Herbalife products are widely available globally. Therefore, it is these authors’ view that closer monitoring of patients taking weight-loss herbal supplements as well as tighter regulation from government drug agencies is warranted. Furthermore, our cases once again demonstrated the importance of questioning patients regarding the usage of herbal or nutritional supplements at the time of evaluation. Duque JM, Ferreiro J, Salgueiro E. Hepatotoxicity associated with the consumption of herbal slimming products. Med Clin (Barc). 2007;128:238-239. Vial T, Bernard G, Lewden B, Dumortier J, Descotes J. Acute hepatitis due to Exolise, a Camellia sinensis dried ethanolic extract [letter]. Med Clin (Barc). 2003;121:598-599. Kramer JM, Gilbert RJ. Bacillus cereus and other Bacillus species. In:Doyle MP.,editors.Foodborne bacterial pathogens. New York: Decker; 1989.pp.21-70. Copyright©2010 Baishideng Publishing Group Co., Limited. All rights reserved. Gary C Chen, Vivek S Ramanathan, David Law, Pauline Funchain, George C Chen, Samuel French, Boris Shlopov, Viktor Eysselein, David Chung, Sonya Reicher and Binh V Pham. Author contributions: Chen Gary C, Ramanathan VS, Law D, Funchain P, and Chen George C were involved in direct patient care, data gathering, and case report write ups; French S and Shlopov B are from the department of pathology and interpreted the histology; and Eysselein V, Chung D, Reicher S and Pham BV were the attending gastroenterologists supervising background research and validity. Complementary and alternative medicine (CAM) is experiencing an astonishing boom due to the public’s increasing interest in disease prophylaxis, nutrition, and improvements to health and well-being. A substantial contribution to this development includes nutritional supplements such as vitamins, antioxidants and herbals, formula diets to reduce weight, and poorly defined preparations to “shape the body”. Most individuals who use these products should be considered “customers” rather than “patients” since they have no intention to specifically treat diseases but to improve their health in general. The majority use herbal and food supplements in self medication at considerable personal expense without prior consultation and knowledge of their doctors. A countrywide survey from the U.S. revealed a prevalence between 37.5% and 67%  and a steady rise  in the use of herbal medicine and nutritional supplements. The sales of these products are enormous; for example, an impressive $33 billion was spent on weight-loss products alone in 1999 . One may welcome this development since it actually reflects the public’s increased awareness of disease prevention and health, even if real benefits from these substances for consumers are minor. However, several problems exist: (1) Reports about adverse reactions, particular liver injury, have accumulated, so, these preparations are not always as harmless as perceived . (2) In most Western countries including the EU and the U.S., nutritional supplements and herbal CAM preparations are exempt from strict licensing regulations routinely imposed on synthetic drugs or medicinal products before releasing them onto the market. CAM preparations are handled like food products for which no pre-marketing approval is required. Liability remains entirely with the company and no proof of safety, let alone efficacy, has to be provided. (3) Increasingly, customers purchase herbals and nutritional supplements from largely anonymous Internet sources without consulting a doctor or a pharmacist. (4) Composition of most products is insufficiently characterized, often unlabelled, highly variable and clear beneficial effects for the consumers do not exist. (5) Companies claim that alleged health advantages would only become visible through long-term and regular use although this is not backed up by supporting clinical evidence. Therefore, the usually high costs of these products stand in utter contrast to their unproven benefits , . (6) Often, physicians’ level of knowledge about dietary supplements and herbals, their regulation and potential hazards is vague and their awareness of CAM preparations as a potential source of health damage is low . (7) Products are often presented in a fashion that raises unfounded hopes and expectations which cannot be fulfilled. It has to be emphasized that online information about the products offered constitutes advertisements rather than serious scientific information; this distinction is often difficult to make for most lay customers. Apart from the lack of evidence for a long-term clinical benefit, herbal combinations taken for weight loss have been recognized as potential causes of liver injury in several case report series demonstrating acute hepatitis following the intake of LipoKinetix , preparations containing ephedrin , and green tea extracts . In this issue of the Journal, two case report series from Israel and Switzerland for the first time describe incidents of severe liver injury along with the intake of a panel of different Herbalife® products , . Herbalife® sells nutritional and herbal supplements for weight control, improvement of nutrition, and “well-being”, and cosmetics online or through independently operating sales agents. Among the 22 cases of liver damage following Herbalife® intake analyzed in the two reports, two patients developed fulminant hepatic failure requiring super urgent liver transplantation which saved one patient’s life while the second died due to postoperative complications. Causality between the intake of Herbalife® products and the evolution of liver injury was carefully assessed by internationally accepted causality scores , . In five patients, causality was labelled “certain” by a positive re-challenge reaction and “probable” in additional 13 patients. Other potential causes were ruled out in all patients, although one patient with positivity for HBsAg seemingly developed hepatitis B reactivation and proceeded to fulminant liver failure. Considering the patients in whom symptoms and signs of liver injury recurred following re-administration of Herbalife® products, there appears to be little doubt that these products were the cause. All internationally evaluated scoring systems regard a positive rechallenge as the strongest proof of causality , , . Although entirely descriptive, the two papers are important and add another, thus far unknown, candidate to the list of products that can cause liver damage. However, the two reports raise more questions than they answer. Although causality was tested appropriately, it remains entirely speculative what might have been the cause of liver damage in the 22 patients. The patients took between 3 and 17 different Herbalife® products which makes it extremely difficult, if not impossible, to identify the crucial compound(s). Efforts by the authors to retrieve a detailed composition analysis were apparently unsuccessful since the company refused to provide such information. 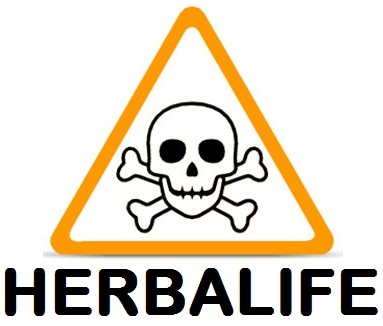 In 2006, the stock market quoted Herbalife® company as having a revenue of $ 3.1 billion; the company’s reluctance to provide detailed analyses of their products’ composition is difficult to understand considering what is at stake should news about associated dangers spread. However, due to this lack of co-operation, attempts should have been made by the investigators to analyze the ingested Herbalife®products for toxins, microbial contamination or to screen affected individuals for possible immunoallergic reactions to the consumed material. While this was not possible in the Swiss series due to retrospective data collection, at least one of the Israeli cases was apparently followed up recently as the relapse was noticed. However, neither the batch taken by these patients nor those taken by the other patients were subjected to a closer analysis, although all patients were contacted personally. Fulminant liver failure due to bacterial toxins was described by Mahler et al. in two cases following the ingestion of reheated pasta sauce contaminated with Bacillus cereus which produces a hepatotoxic toxin . However, such catastrophic incidents usually do not result in larger series of unrelated cases. Another explanation for Herbalife®-associated liver damage could be a locally restricted contamination with chemicals such as softeners, preservatives, flavour enhancers, pesticides, or heavy metals either intentionally added during the manufacturing process or contained in the unrefined raw products, i.e. herb extracts . This possibility could explain the different patterns of liver injury found in the two series with predominantly cholestatic hepatitis in the Swiss patients and hepatocellular hepatitis in the Israeli subjects. Two unusual patterns of injury were observed in the Swiss series – sinusoidal obstruction syndrome and giant cell hepatitis. These two lesions are typical of intoxication with pyrrolizidine alkaloids and intake of Plantago ovata/Emblica officinalis (Isabgol), respectively, and it cannot be excluded that the consumed Herbalife® products contained either of these compounds. Apart from these considerations, it is well-known that a single drug/substance can produce different patterns of hepatic damage. So, should further cases of Herbalife® hepatotoxicity be detected, clinicians and researchers are urged to retrieve the batch(es) that were consumed by their patients to perform detailed screenings for microbes, their toxins, and chemicals. It remains speculative why cases of Herbalife® hepatotoxicity were only noticed in Switzerland and Israel, although Herbalife® products are sold in at least 60 countries all over the world. Based on experiences with adverse drug reactions due to synthetic drugs, simple probability should have led to additional incidents of Herbalife®-associated hepatotoxicity. Isolated series of drug-induced liver damage are highly suggestive of either significant underreporting in other countries with a more widespread consumption, or indicate the specific distribution of “spoiled” or contaminated batches. However, as the Swiss authors rightly state, the “threat to the public health” from Herbalife® products is minor and should not be exaggerated when compared with incidence rates of adverse hepatic reactions of other over-the-counter pharmaceuticals such as non-steroidal anti-inflammatory drugs . The two series emphasize the need for caution regarding poorly labelled herbal weight, loss products with questionable benefits and, considering the principle “first, do no harm”, clearly shift the risk-benefit ratio against their use. It is an ALARMING SITUATION for those who are on HERBALIFE DIETS. Slim-Fizz is a distinct appetite suppressant which is containing the ground breaking fibre Glucomannan, which is an organic dissolvable fibre derived from pure Konjac.